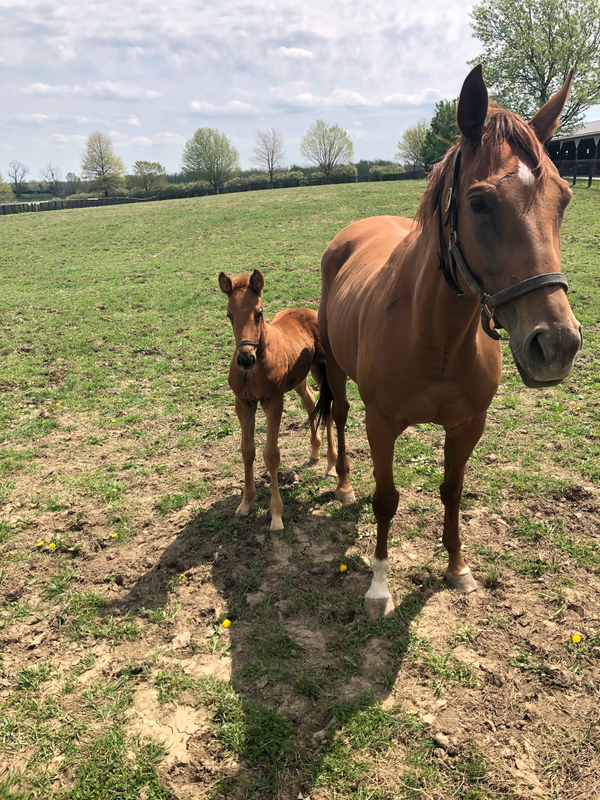 After the long awaited birth of Starr Bear 19, we learned that Double Diamond Farm has a sweet tradition of raising a flag when a foal is born. Melissa Anthony shares "The flag, or changing of the flag is an indication to everyone a foal was born. The flag is changed each time a foal is born, blue for it's a boy and pink for it's a girl." Pretty fun! 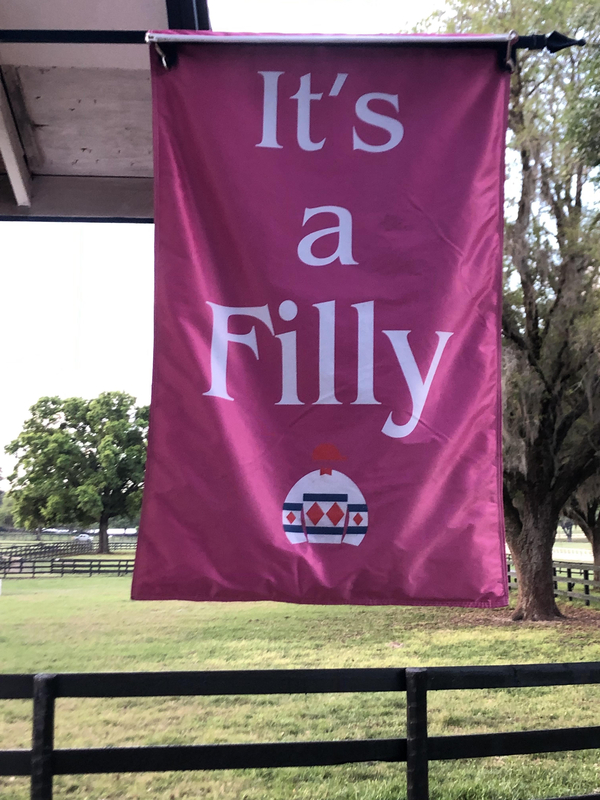 Here is a image of the flag hung for our latest Foal Patrol filly.